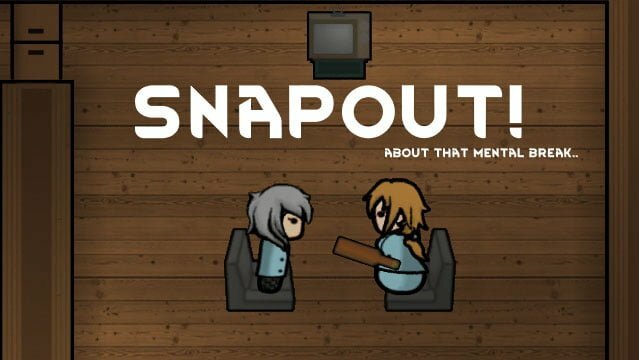 The Snap Out! Mod adds the ability to calm down pawns on a mental break. Now as per usual little BB here would have a mental break because of eating without a table and go sad wandering around the base for hours until she eventually gets tired and falls down. With the Snap Out! Mod the pawns can attempt to calm her down. Adds the ability to calm pawns down – uses the warden work type! Success chance depends on the skill of the pawn and opinion – multipliers can be changed in options. Option for opinion only if you don’t like it to take the social skill into account. Prisoners AND traders can be calmed down as well. Works on aggressive mental break pawns – this can be enabled via the option menu. But be wary, your pawn will attacked be if they fail to stun or calm the aggro’d pawn! Messages on calming attempts, to make your pawns look a bit more lively – can be disabled. Options to change most aspects of the mod – such as success chances, cooldowns and more! The Snap Out! Mod is compatible with Psychology and any other mod that adds mental breaks to the game. Mental breaks are a real annoyance. With the Snap Out! Mod you’ll at least have the chance to calm those pawns down. Having charisma skill and relationship with the pawn matter is certainly a nice feature of this mod.